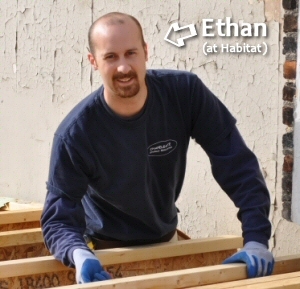 When Ethan went full time with One Project Closer back in March, we knew he’d need a place to work. For the last five months, he’s been roughing it — mornings are at the Panera Bread in our neighborhood (thank goodness for free WiFi! ), and afternoons are in the basement at his house, with the occasional break to travel for PR events or to work with Habitat for Humanity in their Sandtown, Baltimore City chapter. We decided that the best place for a full time work location for Ethan is our home’s two-car garage. The only problem: it’s been filled with our family’s garage junk which has long prevented it from being used for vehicles, much less a workshop. (You know the stuff we’ve got in there: gardening tools, mulch, oil, gas, camping stuff, etc. etc. etc). We’ve got a laundry list of things to get done before Ethan can move in to a new workshop, and the biggest one was finding a good place for as much of the junk as we could. A shed seemed to make sense, so we started in that direction. A few weeks back, we poured a concrete foundation suitable for an 8×12 shed. (By the way, it’s a simple project if you’ve got the patience… You can definitely DIY it… See our instructions at that link). 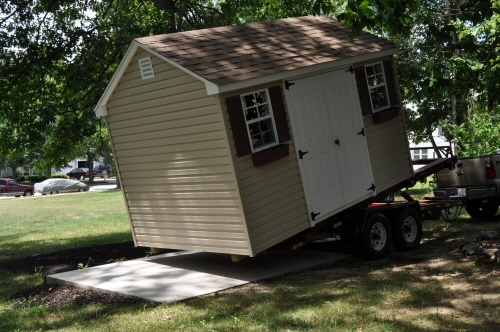 Normally, we would build a shed ourselves. 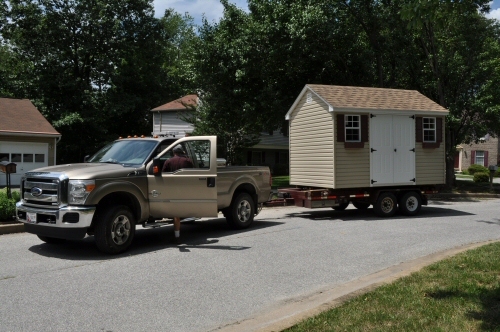 It’s little more than 2x4s, plywood, siding, shingles, doors, and windows. But, our timetable for the garage workshop is just too tight. We’d like to get Ethan moved in before the fall. 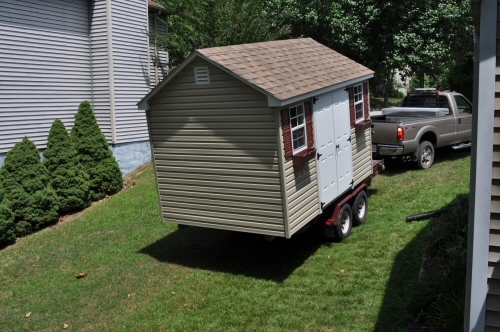 So we decided to order a shed from a local dealer in Ellicott City, Maryland called Best Sheds. 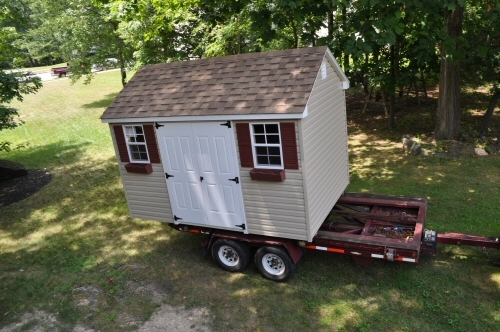 In an article later this week, we’ll explain in detail why we think bestsheds.com and other options like it beat out the big stores for shed prices and quality. 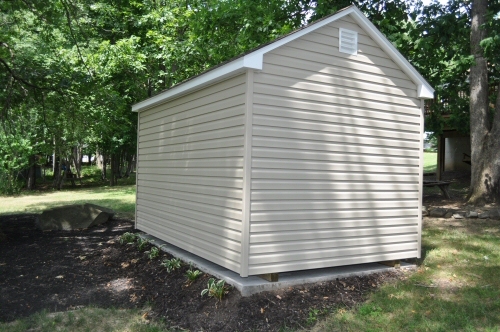 We designed the shed to look as much like our house as possible, except that we have aluminum siding and we wanted the shed to have vinyl, so we matched that to our neighbor’s house instead. We also wanted architectural shingles (the ones that have depth), rather than the traditional 3-tab shingles we have on our house. 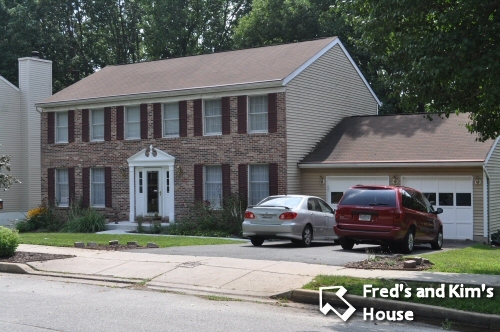 Here’s a picture of our house. The neighbor’s is peaking in over to the left, but we’ll skip the full frontal picture since they didn’t give us permission. 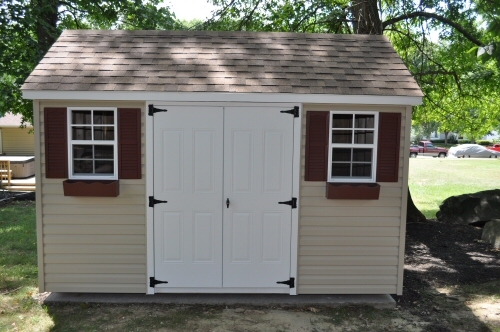 Best Sheds had a bunch of nice sheds on their lot in Ellicott City, but nothing matched what we wanted. So, we picked out materials and ordered the shed sight-unseen. We’d hoped it would turn out nicely. 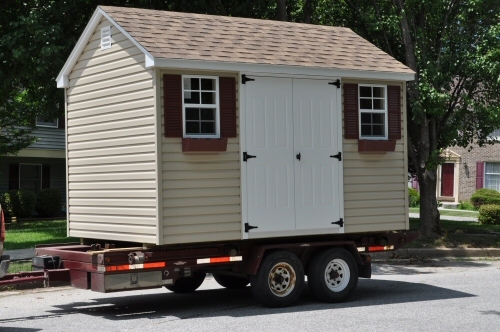 Best Sheds anticipated a 3-4 week lead time. 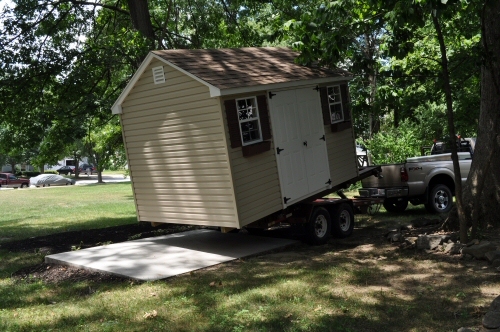 It actually turned out to be almost 6 weeks before the shed arrived, but it was worth the wait. 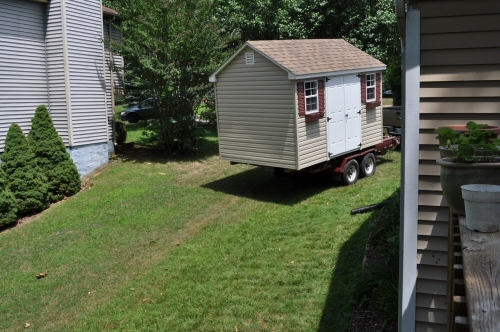 (We switched to video at this point to show you the actual placement of the shed. Ethan sped this up quite a bit because the original video was four minutes long). The shed fits perfectly on the 8×12 slab. It’s always nice when it works out that way. I’ll be writing about this extensively later this week in a separate shed comparison article, but it is worth noting here that this shed is all plywood construction with a pressure-treated plywood subfloor. It’s built with 2×4 lumber (rather than 2×3), and the flower boxes are made from rot-proof synthetic material. Overall, it has a very, very solid feel. Here’s a peek inside, with additional footage coming later. That is totally adorable. I love that it has window boxes built on. Cute and functional. Can’t beat that. Kim called for the window boxes… I was VERY pleased when they shipped it and discovered their made from a rot-proof PVC-type material rather than wood. It’s that kind of detail that made our post-purchase endorsement from Best Sheds so much the better. Next shots will have some budding little plants in there to share! So why did you go with putting it on a full slab instead of putting the skids on the ground or a couple concrete “cookies”? Great question. A few reasons: First and foremost I wanted to be sure that no water/moisture accumulated under the shed and that the shed stayed level under a significant weight load. 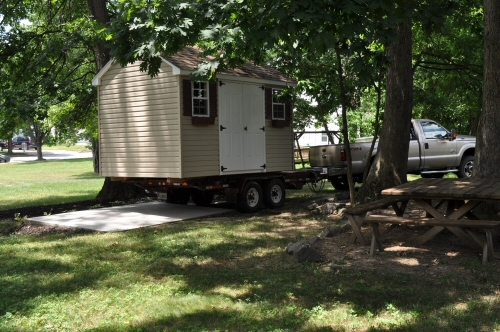 We knew we wanted the shed there permanently, and so figured that the pad was the way to go. Our last shed had rotting problems after a few years due to contact with the ground. 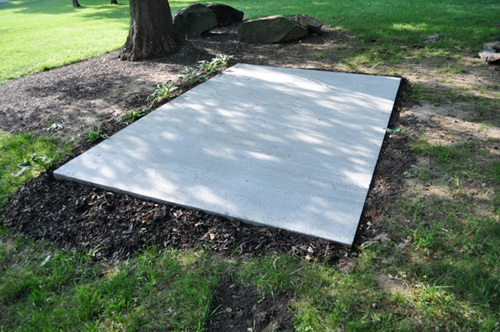 Second was a desire to write an article on pouring a shed pad… A number of the HOAs (ours excepted) actually require out-buildings be installed on pads rather than on the ground directly – so we figured it was a good tutorial to run. Thats one nice shed! I’m pretty sure you put it on a concrete slab to keep moisture away its almost like a house foundation. 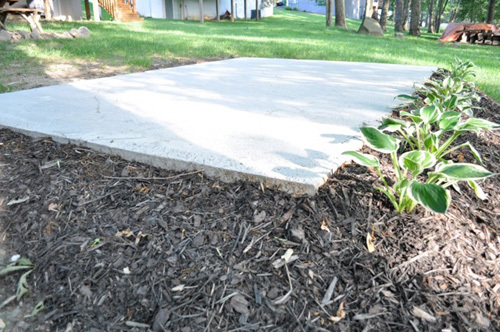 Those patio slabs are a cheaper route to do it if you are going to be putting such a nice shed you don’t skimp out. Just my opinion. Hey Beth, Since your toddler has hair *jealous*, you totally should! Beauty4U (right up the road) has great prices on the metal clips. And i get most of my ribbon from the Target dollar bins. (this is Jocie, not ethan, LOL). Just another project on our list that I’m thrilled to read about. 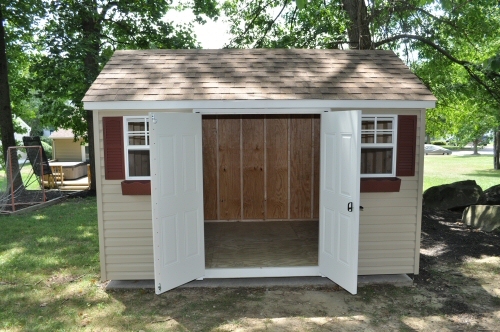 We’ve been looking at Best Shed’s online and were quite pleased with them including their pricing. It’s nice to know their quality is also good. Thanks so much. Fred. It would be helpful if you would provide a material list for the storage shed. I can figure it but it would be nice to have. Wayne, thanks for the suggestion. We’re going to work to get some additional resources, including resources with shed plans that will include parts lists and plans. This article is more of a general overview; although, if Steve Wartman still has the materials list available, we’ll definitely post it. We may also try to compile our own based on the instructions.